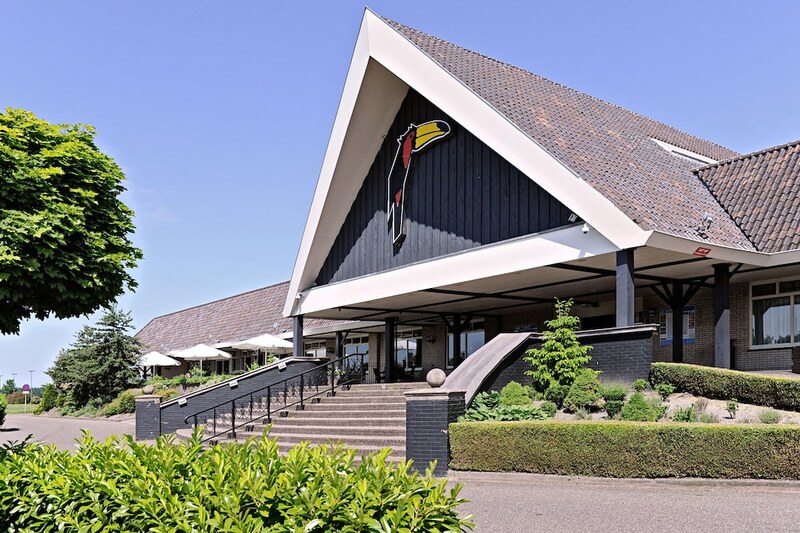 Located in Zuidbroek, Van der Valk Hotel Groningen - Zuidbroek A7 is within a 15-minute drive of Ennemaborg Mansion and Midwolda Reformed Church. This 4-star hotel is 7.5 mi (12 km) from Museum of War History and 8.3 mi (13.4 km) from Blauwestad Marina. Make yourself at home in one of the 120 guestrooms featuring refrigerators and LCD televisions. Rooms have private balconies. Complimentary wireless Internet access is available to keep you connected. Partially open bathrooms with separate bathtubs and showers feature deep soaking bathtubs and complimentary toiletries. Don't miss out on the many recreational opportunities, including outdoor tennis courts, a sauna, and a fitness center. Additional features at this hotel include complimentary wireless Internet access and gift shops/newsstands. Satisfy your appetite for lunch, dinner, or brunch at the hotel's restaurant, or stay in and take advantage of the room service (during limited hours). Quench your thirst with your favorite drink at the bar/lounge. Buffet breakfasts are available daily for a fee.